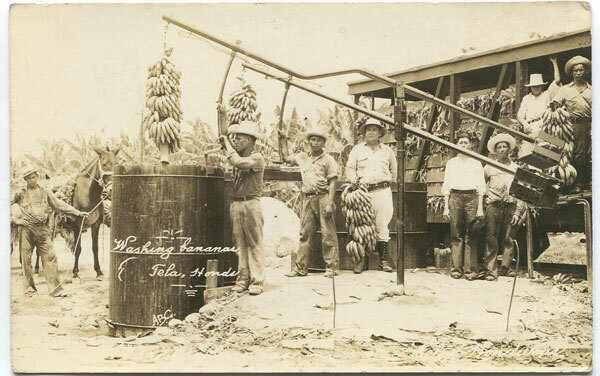 ANON Washing bananas, Tela, Honduras. Old real photo sepia postcard, circa 1910, fine unused. 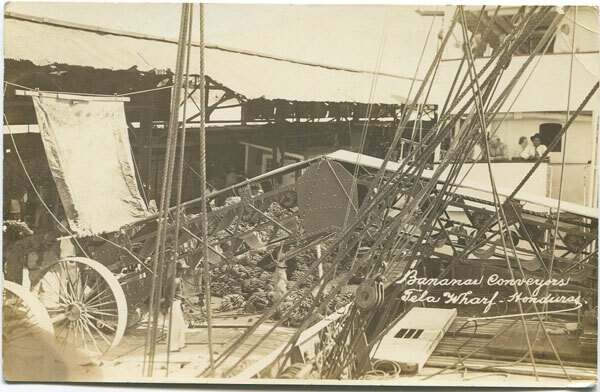 ANON Bananas conveyors, Tela Wharf, Honduras. 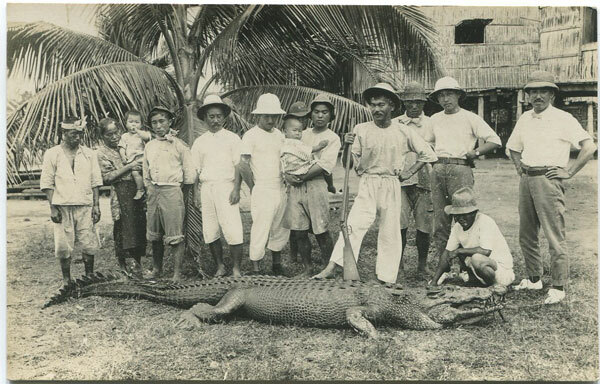 Old real photo postcard, probably Honduras, circa 1910, fine unused. MAYNARD Ceiba. From The Universal Geography. J.S. 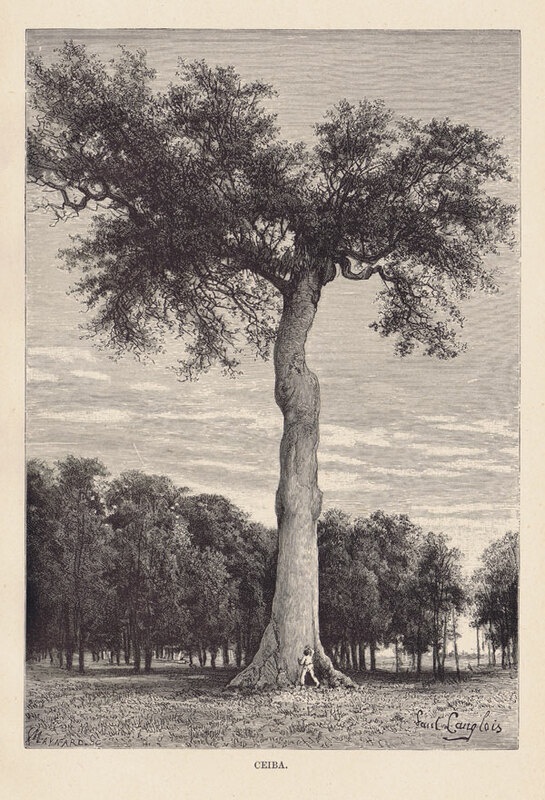 Virtue & Co., London 1890 (circa) Woodcut. 5 x 7.5"
SAMUEL Rev. 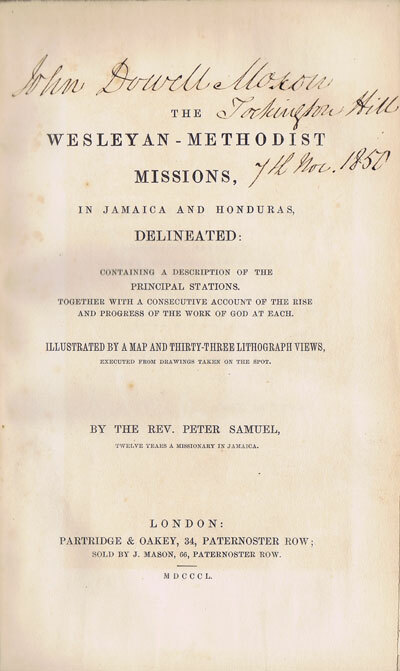 Peter The Wesleyan - Methodist Missions, in Jamaica and Honduras, delineated: containing a description of the principal stations. Together with a consecutive account of the rise and progress of the work of God at each. London 1850 320pp + 33 litho plates. 1st ed., fine in original cloth with faded spine. Minor stains and spotting to plates as usual. Former owner's name in m/s on title page. 8vo. The author was a missionary in Jamaica for 12 years. 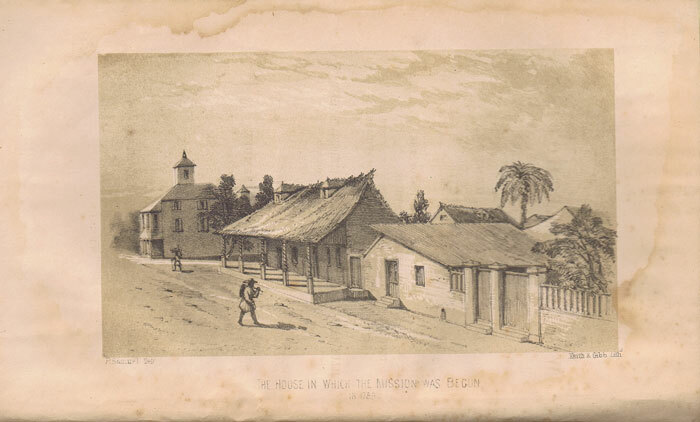 Very fine tinted litho plates, mostly of Mission houses in Jamaica. FRANCK H.A. 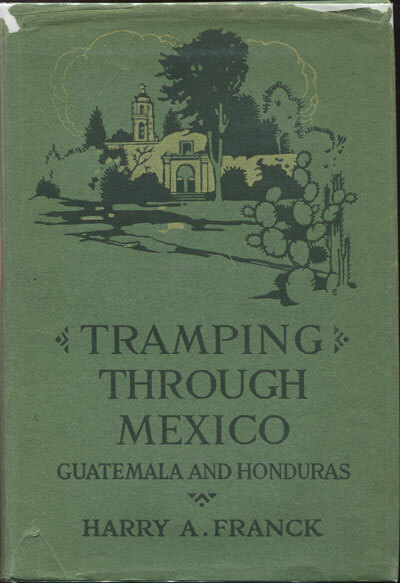 Tramping through Mexico, Guatemala and Honduras. Being the random notes of an incurable vagabond. Century Co., New York 1917 378pp + plates. 2nd ed., fine in slightly loose pictorial boards. Interesting description of the author's journey across Central America.